Disney sparkle adventure princess time! at the beginning of year 3 we were given an amazing opportunity. for our personal project module we got to choose a company from a list,ones such as Sony,various game companies around Dundee,Ubisoft and Disney. the options for working with Disney were Hannah montana and Disney princess so as you can imagine,applicants weren’t too numerous. so of course, i got in, and me and a team of five got to work on creating a product for Disney princess. 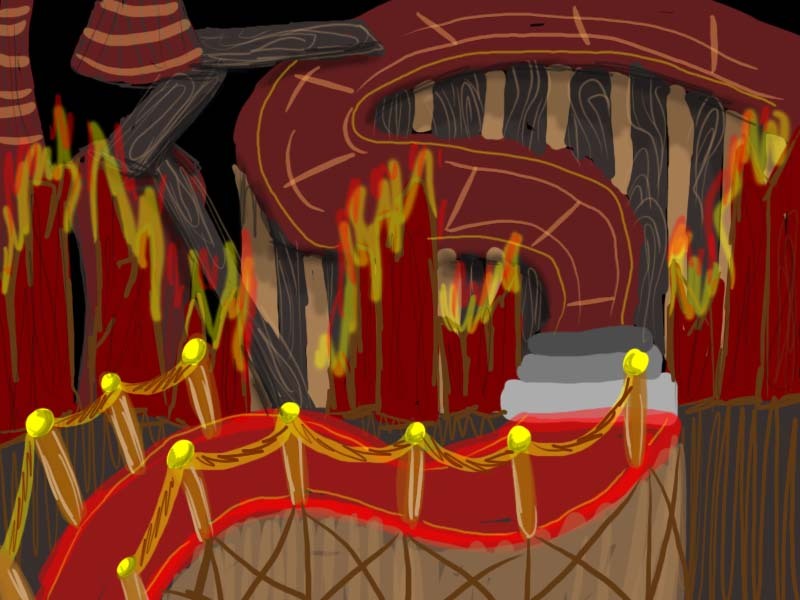 we decided to make a flash based game for various reasons. me and the team leader were both highly proficient with it. 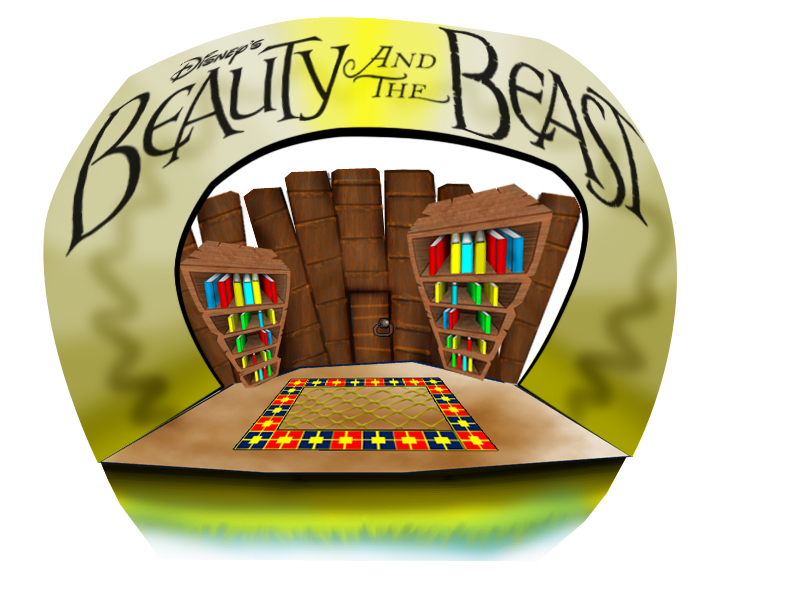 the end product would be suitable for web based applications such as Disney websites. for the art side of things we went with lush,watercolour style background and simple,clean character lineart and animation. the user interface is kept simple and clean aswell. 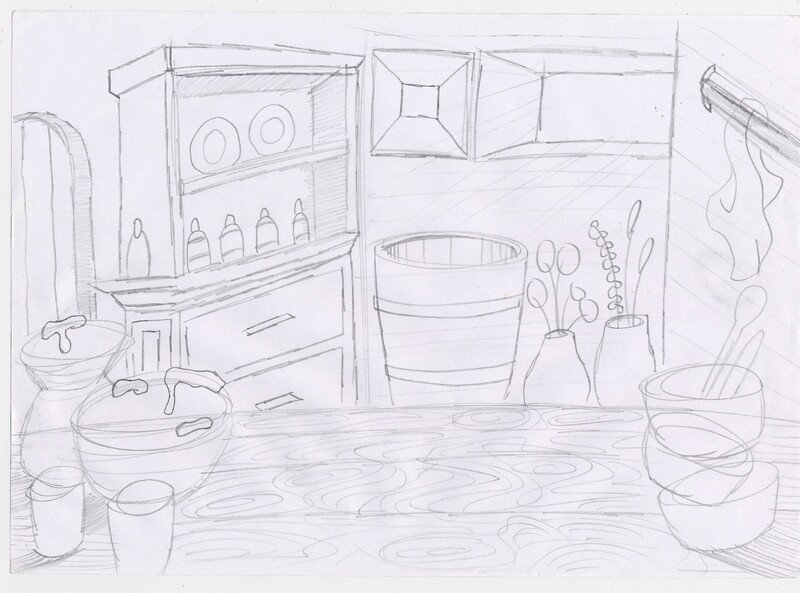 as for my role, i did all of the environments and animation. 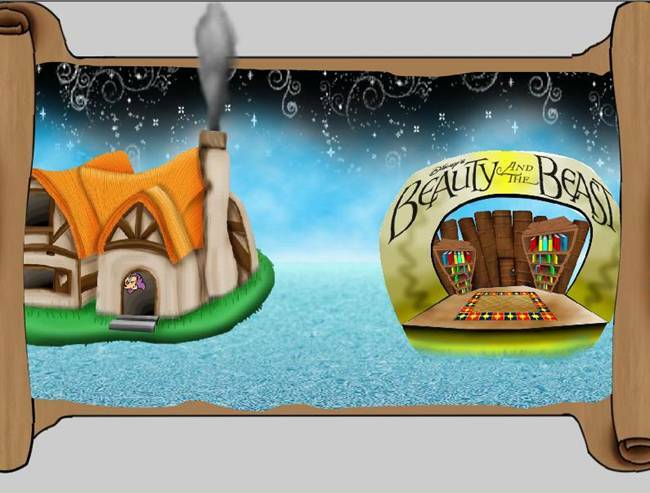 after conceptualizing and iteration we boiled the product down to a minigame per princess and a map screen. the map screen has seen the most changes by far. 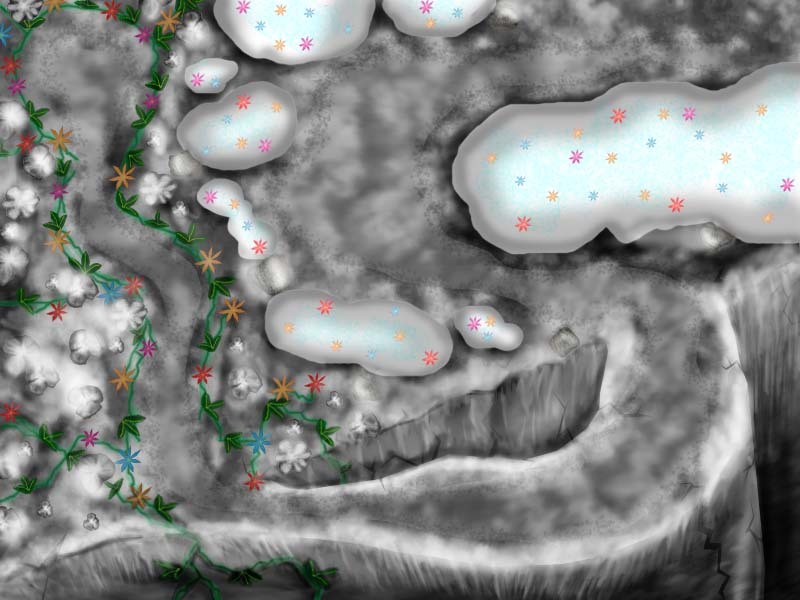 some of the ideas we had were a flower field, and when the flowers were clicked they would bloom and reveal a level. 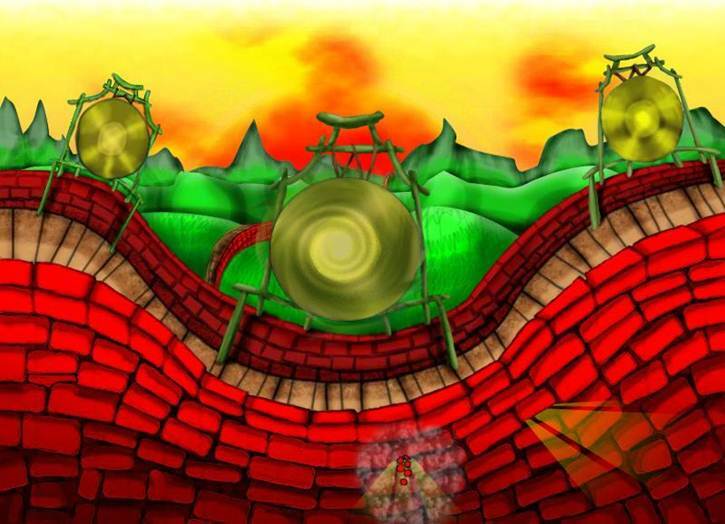 another is a gem that used mouse movements to rotate and choose a level to play. 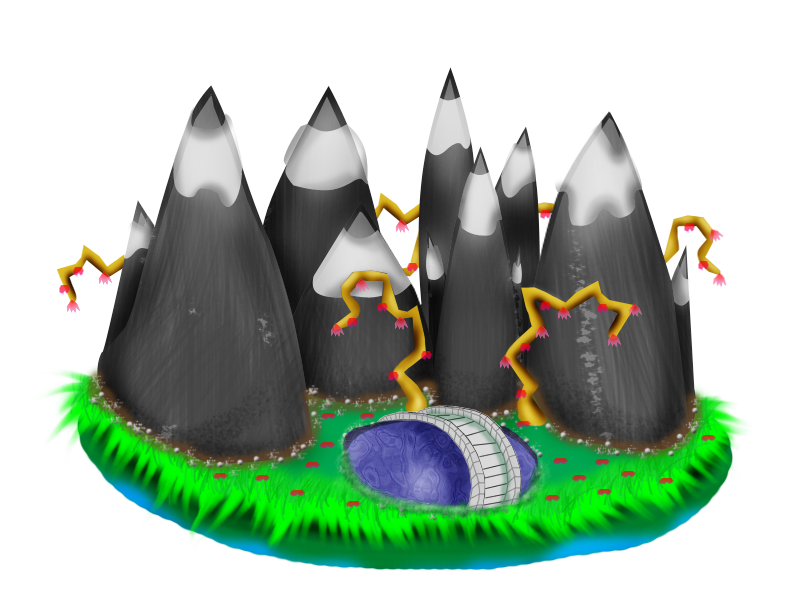 an idea was to have a mario galaxy-ish planetoid which could also be rotated to choose a level. and a scroll which moved left and right to show the various worlds you could visit. we actually had a prototype of the globe map concept for a few weeks. this is the only thing left of it i could find. 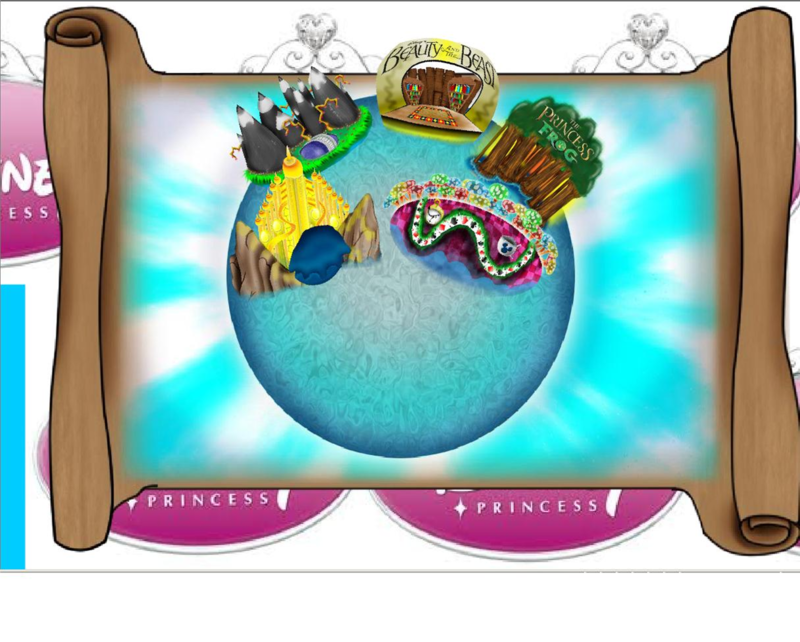 but after having a very constructive meeting with a Disney rep. we decided to redesign the map screen and remove Alice as a princess. and include cinderella and sleeping beauty instead. the new map screen is the parchment which scrolls left and right. this map is better for several reasons. 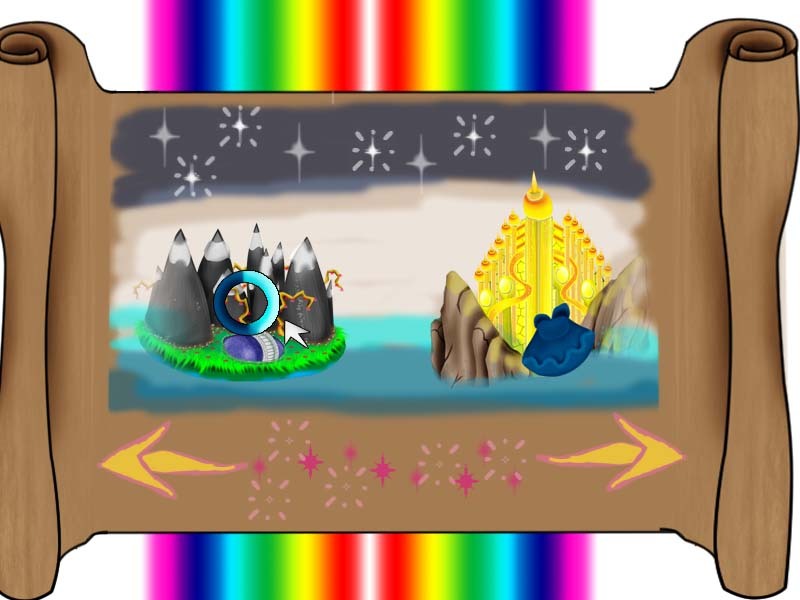 there is analog control for going left and right, the background animates a lot nicer,there are sparkles in the sky and ripples in the water.and when a level is in the center, a portrait of the appropriate princess appears in the background. 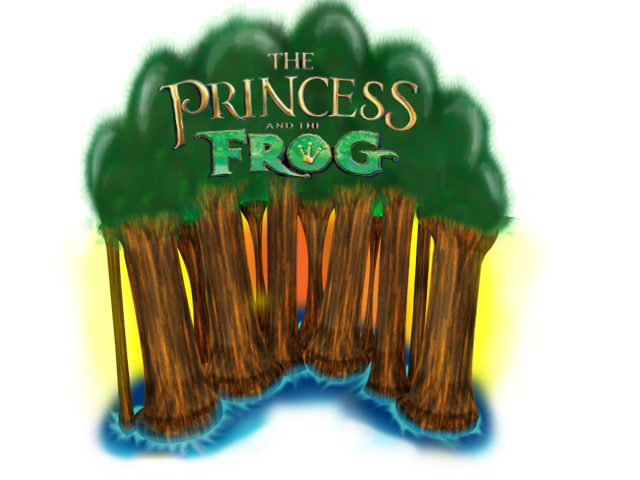 the first level we worked on was the`princess and the frog` level, we had just seen the film and were still pumped about working with Disney and our rekindled love of Disney films, I’ve been on a total Disney binge and caught up with all the movies i haven’t seen for the past 10 years 🙂 for this level we have the player control navid as a frog and by moving the mouse over flies in the forest so he eats them. it`s probably the least `princessy` game idea. 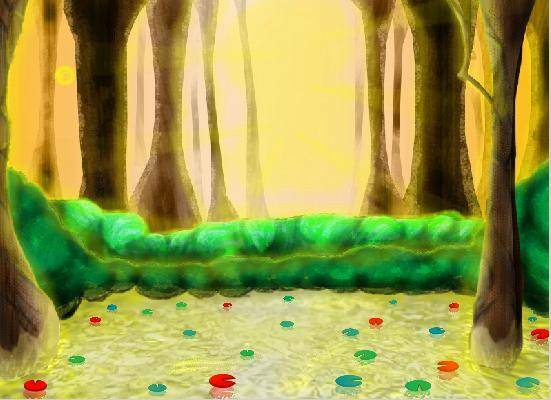 this forest scene has a ton of animation in it, i will upload a video of the final version of the game at some point. 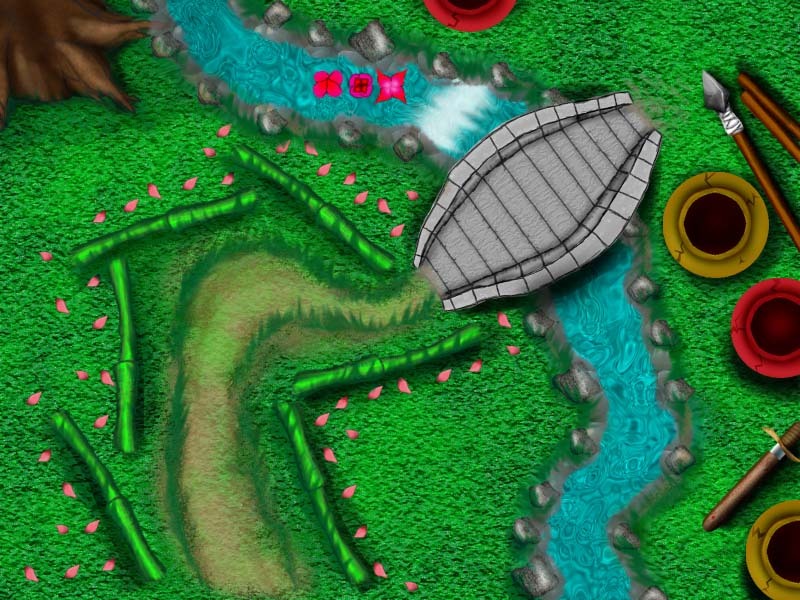 for the meantime theres a sneak peak of some of these levels in my showreel video. 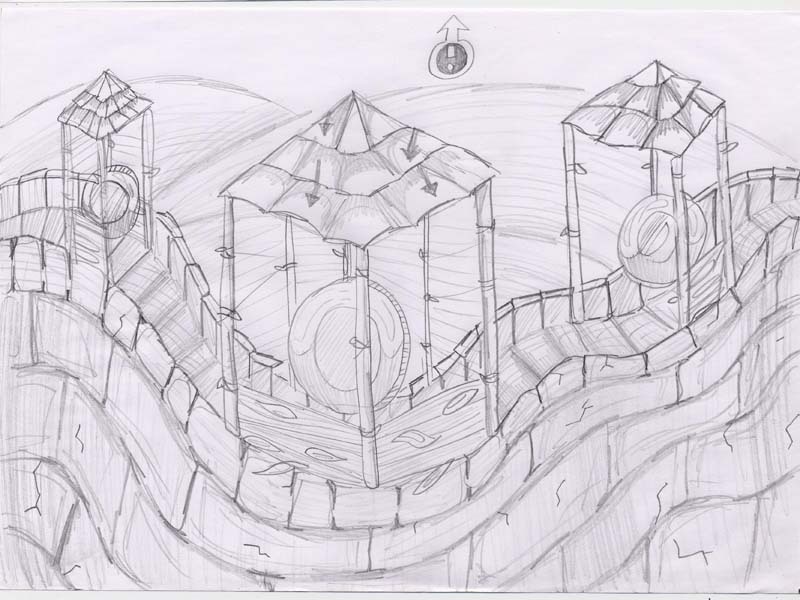 despite this being the first level drawn it`s the last one to be programmed and finished. the game mechanics are more complicated than the others however. notorious Disney fans may notice that this fly eating scene actually takes place at night instead of daytime. but we took some creative liberties for the sake of player progression. we cant have the first level of the game set at night. 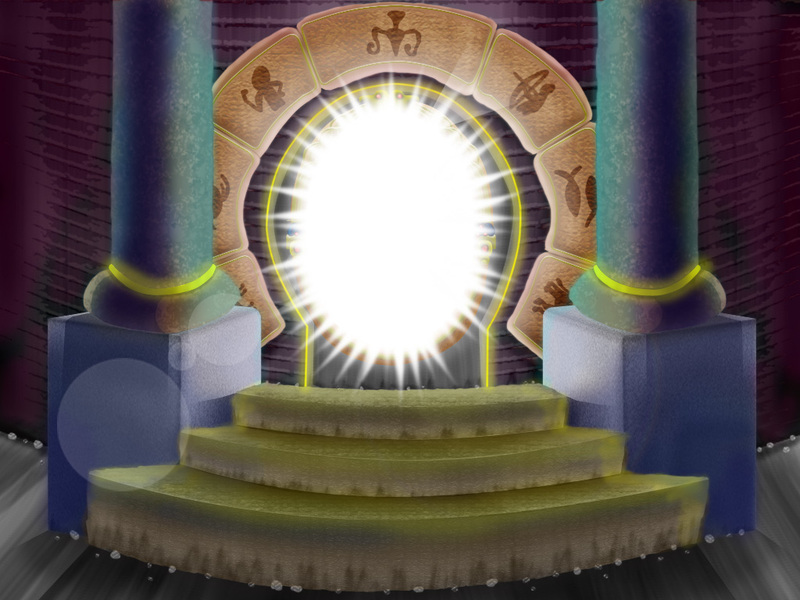 most of the mini games have been optimized to fit our games, but not so much so that we dishonour the source material. there’s a snippet of footage of this in my showreel video aswell, the lighting effects under the water are something i’m quite proud of 🙂 lots of greens and purples in the mix. the next level i worked on was Mulan. this actually had a lot of iteration. 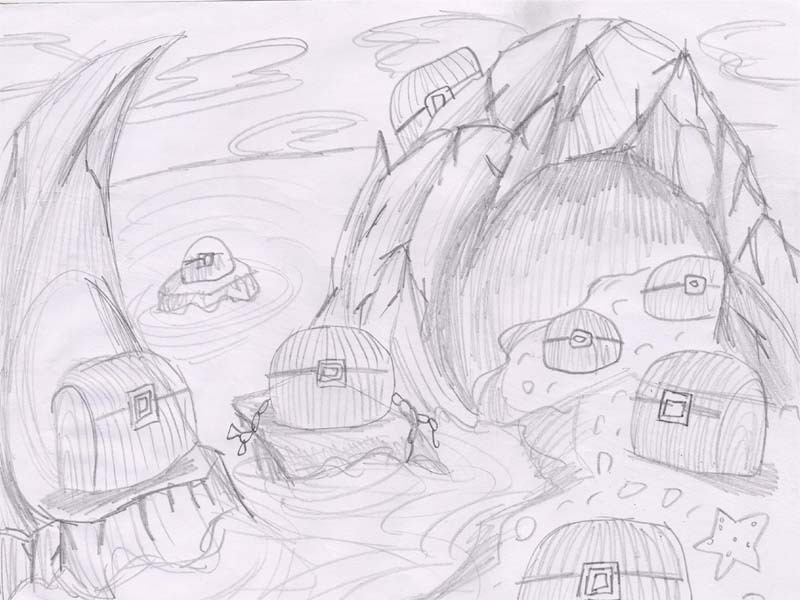 here are some of the original concepts. adaptations of scenes from the film. 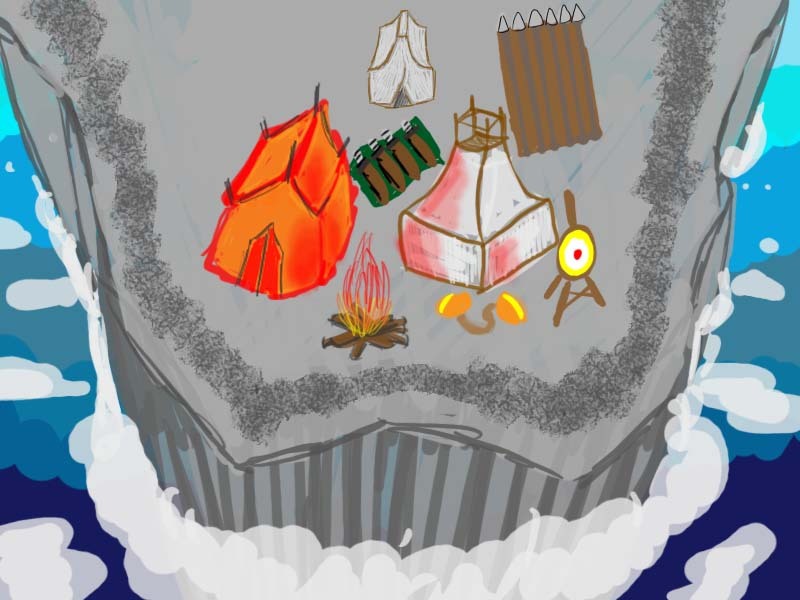 the village from the beginning,the mountains where the soldiers train and the burning palace from the end. 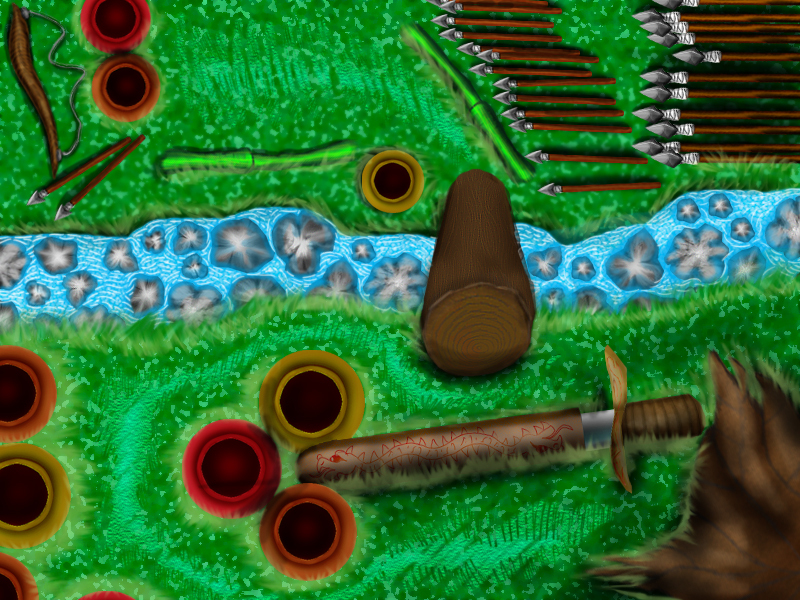 the gameplay mechanics for these levels, was to click drag a line of gunpowder from start to end to set off the fireworks and scare away the Huns. but not only was this too difficult to play and program but it drastically clashed with the `princess` style of gameplay. 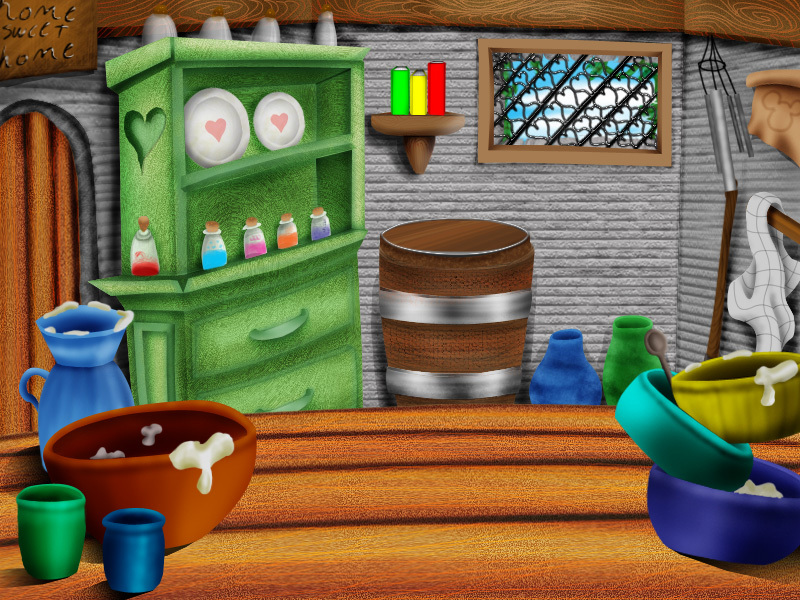 every single object in the scene animates. our asset pipeline for the entire project reached over 1000! another development I cant show you yet is the audio. we have some pretty good tunes thanks to the audio expert on our team, that and I got my grandmother to voice act the fairy godmothers script. so all games,scrolls and buttons have vocal instructions ~ in rhyme! for example. up here on the great wall, will you answer mulan`s call. so that will be a nice feature once it`s implemented. one more level to mention is snow whites. 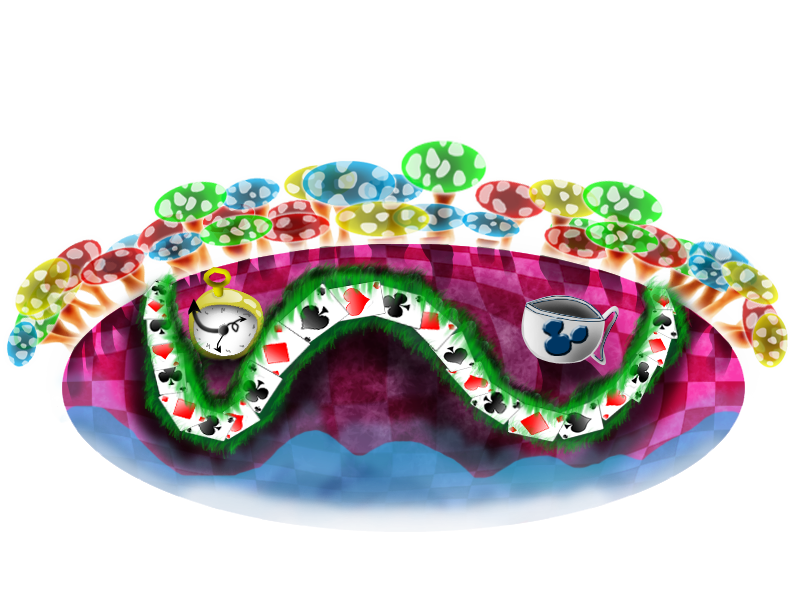 the level is just the mirror from the castle in the film but in a more light-hearted fashion obviously. 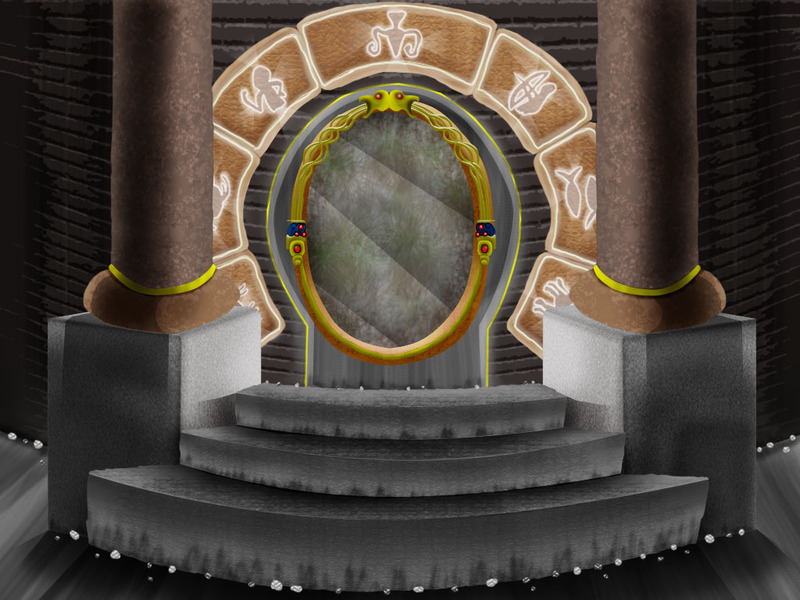 I think the mirror is for either a dress up mini game or for cleaning it to reveal an image. still need to see our coders work for it. regardless,here are some various states for the mirror. the emblems at the top are lit up in this one. they could possibly be used a progress indicator. 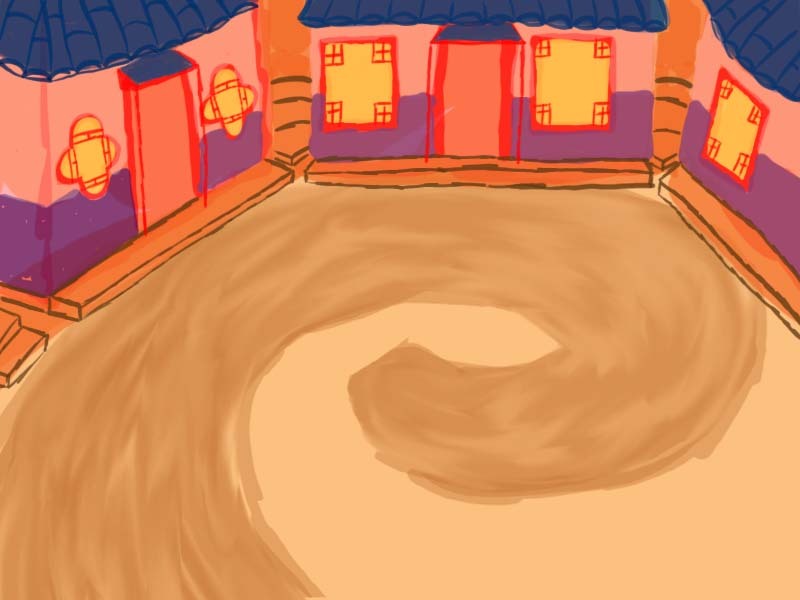 here’s the scene with colour applied. much more welcoming isn’t it! 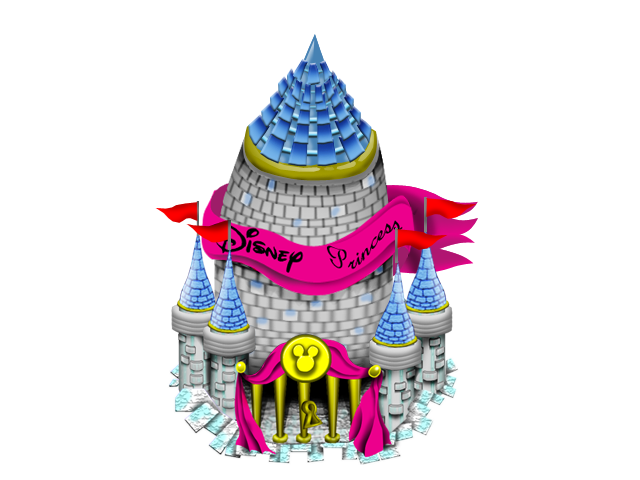 once all of the mini games have been played and completed, the player unlocks a final scene which houses all of the princesses and the players custom made avatar in a regal hall, the player can then print off a image of their avatar celebrating with all the princesses. it`s been hugely informative to work with an established brand for a client. I `d really like to do it again in future. Disney or otherwise. 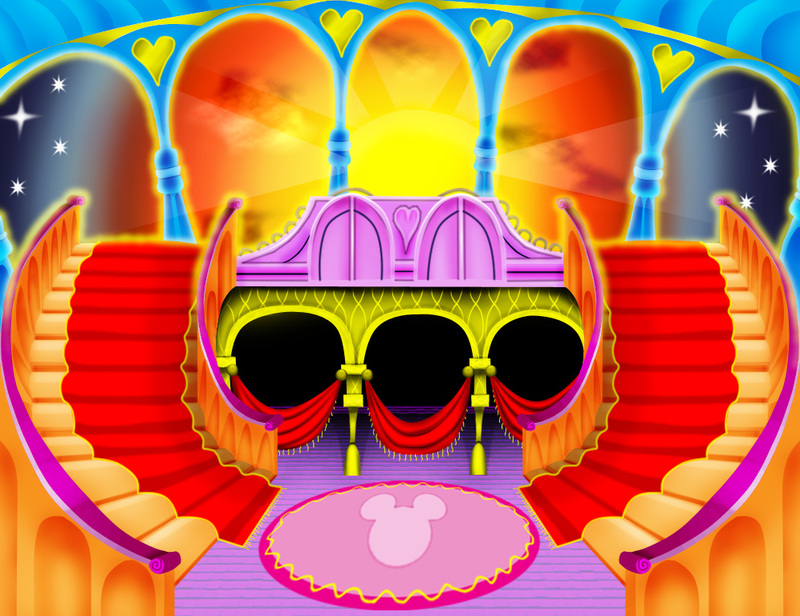 the princesses will reside on the stairs while the players avatar will stand atop the porch. Ariel`s grotto, the cloyster opens up and reveals a pearl with the little mermaid logo embossed on it. rockets shoot up from the mountains and the shower of sparks form the mulan logo. another map icon which may end up getting scrapped. books spew from the shelf’s when rolled over with the mouse. 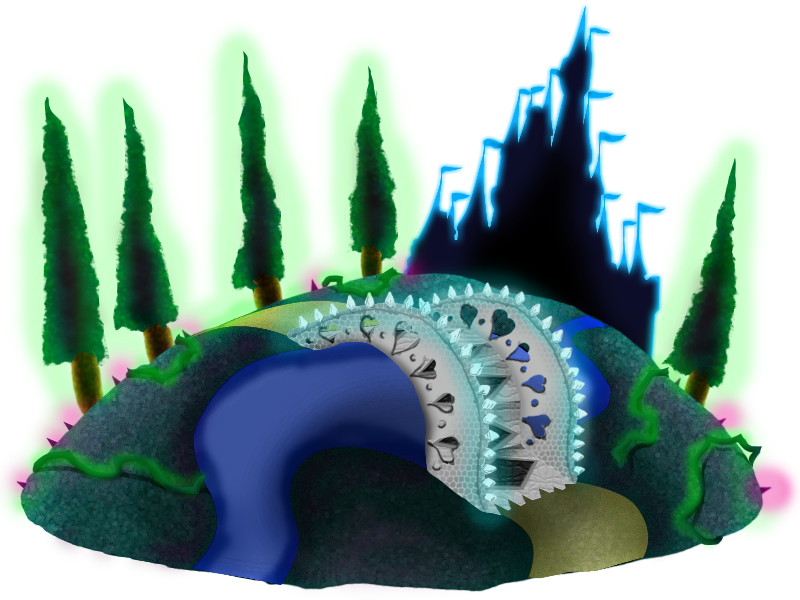 fairly simple animation for this one, light beams shoot out from within the forest. 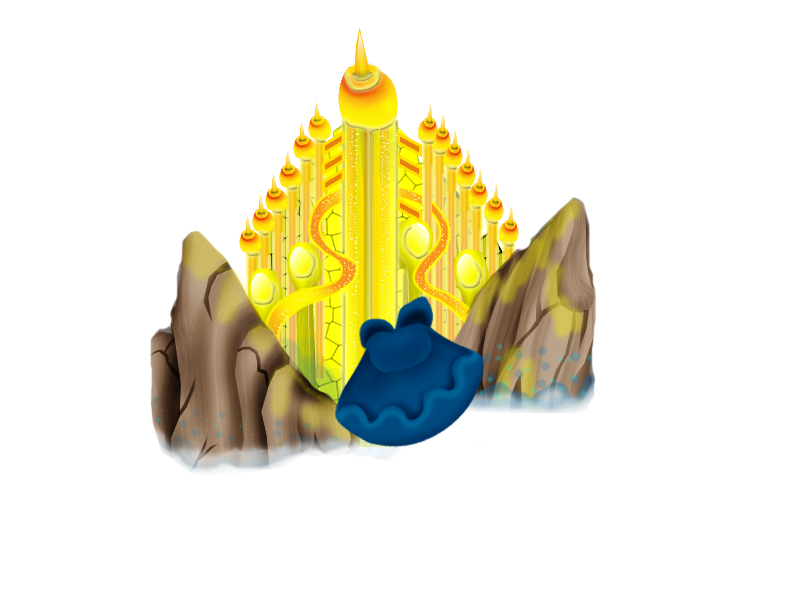 the main hubworld icon where i think the player can go to customize their avatar and initiate the printable ending sequence. sleeping beauty. 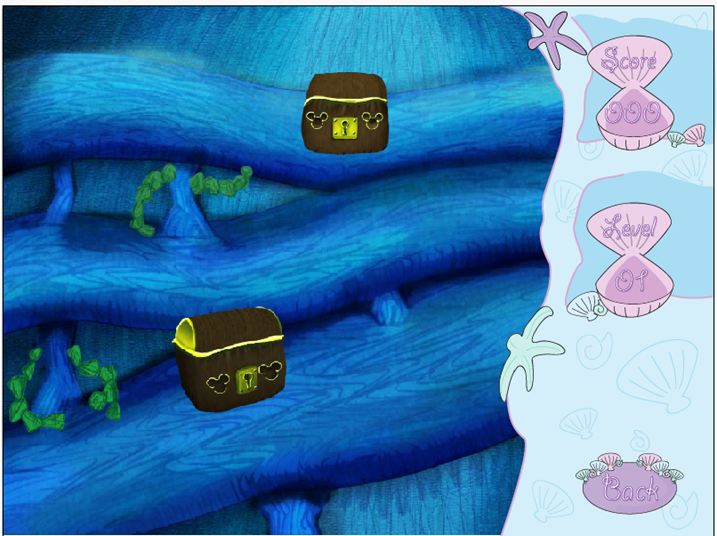 the water has a flowing animation and the environment has a ambient glow. 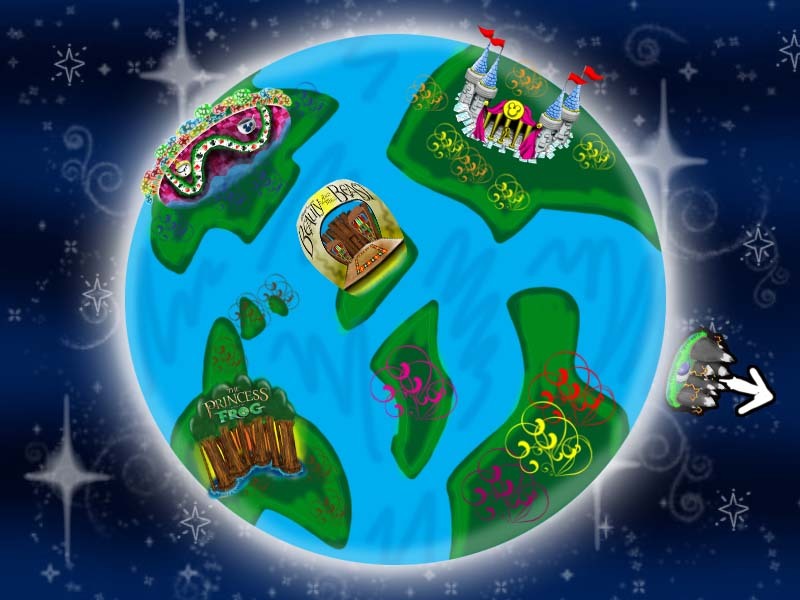 snow whites map icon. 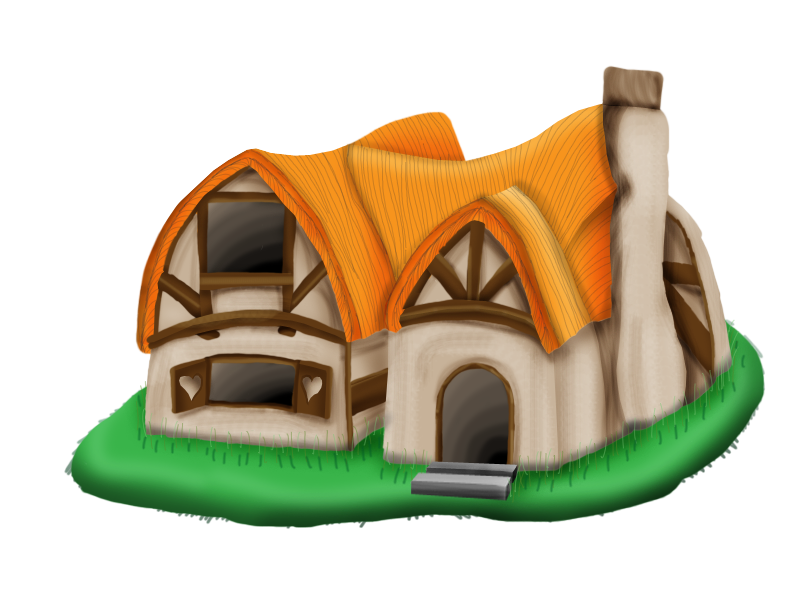 the dwarf dopey pokes his head out of the windows and door, and smoke blows from the chimney. oh yeah,our team name is team tetra, i suggested that because of tetra from wind waker 😉 nobody ever caught on,i guess they just thought it sounded cool. and the name of the game is called `royal quest`.